There is no question of Sea Islandâ€™s beauty. Internationally recognized for itsÂ spectacular resort and recently voted a â€œBest Place for a Second Homeâ€ by Barronâ€™s Magazine, Sea Island offers something for everyone. At Sea Island, you can find golf, premier shopping and restaurants, beautiful beaches and phenomenal fishing and sailing. Sea Islandâ€™s splendor is matched only by its unique history and cultural significance. The Island is part of the 500 mile stretch that provides a home to one of the United Statesâ€™ most unique and prized cultures: the Gullah community. Gullahs trace their heritage back to the slave trade in the 1700s. Slaves brought to the United States from West Africa, in particular Sierra Leone, worked on rice plantations in the American South. Slavery ended in the 1800s and freed slaves and their descendants moved from the former plantation communities to other regions throughout the nation. As time passed, many of the African traditions faded and were lost. Except in the Gullah community. Thanks to the island landscape along the Southeastern United States, the Gullah community has been able to stay fairly isolated from the rest of the nation and the influences of modern life. Not only has the community been able to retain their distinct language and culture, they have also preserved their music and traditions. Thanks to this preservation, scholars have been able to learn about and fill in gaps to the history of African descendants in the United States. Visiting Gullah communities has proven to be like stepping back in time. Scholars and visitors alike experience the languages, music and traditions of a time long ago and a culture forged in the face of adversity. 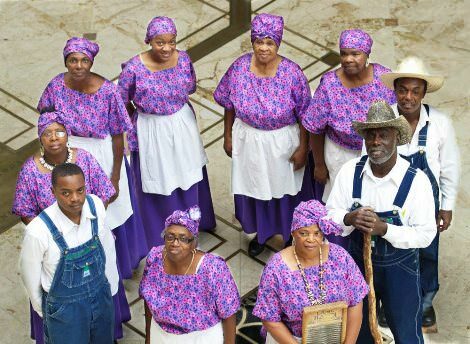 Gullah music and tradition is the focus of a University of Connecticut workshop for K-12 educators next July, in which two UConn scholars bring their work on Gullah artistic traditions to life. Participants in the workshop will have the opportunity to not only learn about Gullah culture, but to experience it first hand through visits to Gullah communities in South Carolina and Sapelo Island, Georgia, one of the Sea Islands. This workshop, along with the continued research of the scholars, is aimed at helping preserve the cherished Gullah community and culture. It is rare that one of the nationâ€™s most desirable places to own a second home should also be one of the nationâ€™s most treasured cultural landmarks. Sea Island is one of the few places that can claim both distinctions. As you consider where to take a vacation or to purchase your second home, consider Sea Island with all its beauty and culture. Let us help you learn more aboutÂ Sea Island real estate.Â Contact usÂ to learn more about what is available or to set up an appointment.